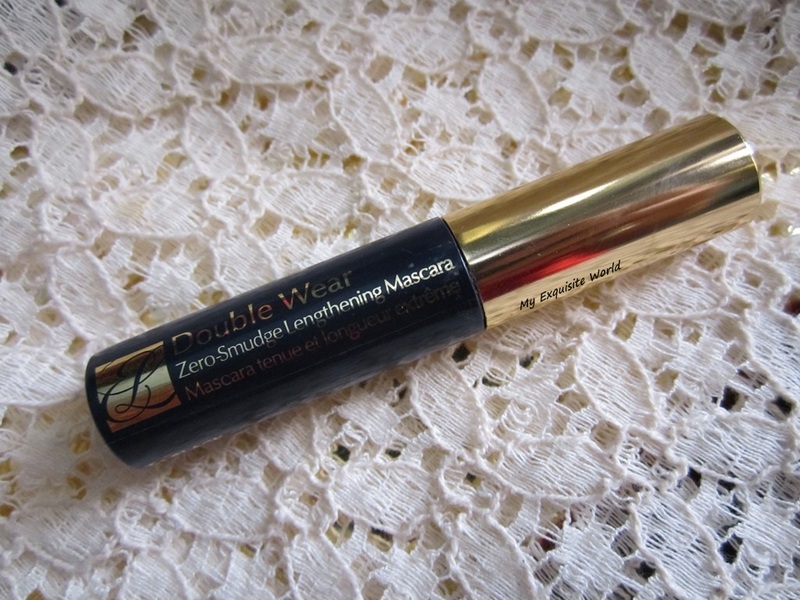 ABOUT:Double Wear’s staying power comes from a clever combination of a temperature-sensitive polymer complex and soft film formers that provides flexible yet exceptionally long wear to lashes. Although engineered to be resistant to humidity and perspiration, the 15-hour formula unlocks from the lashes with warm water and with the use of a cleanser washes away clean, removing every last trace. 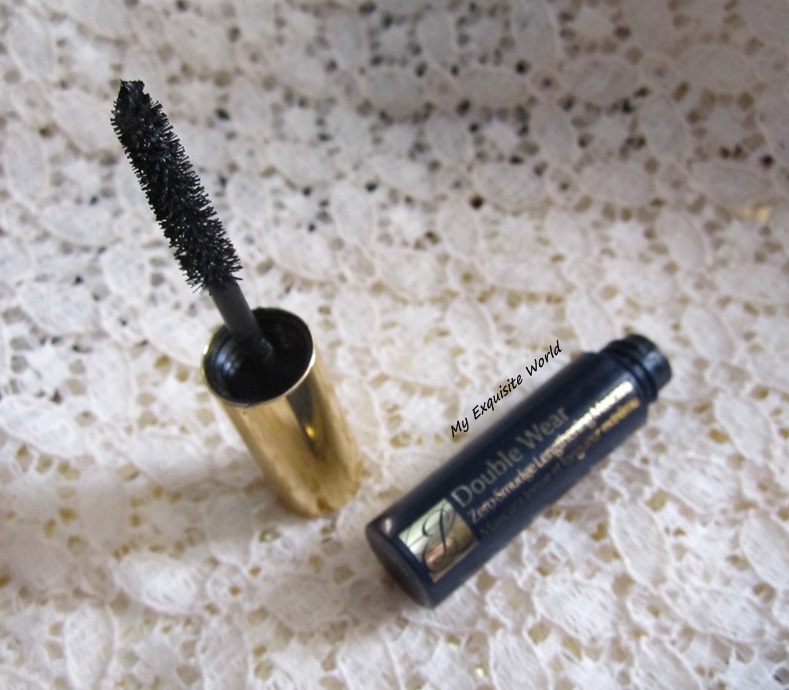 PRICE:rs.1390 for regular full size mascara bottle.I have travel size which is 2.8ml. Dont know the price as I got it as a gift from friend. PACKAGING:I love the classy deep glossy blue and golden packaging. MY VIEWS:This mascara truly does live up to all its claims. I’ve worn it out for a full day (about 10- 12 hours) and had absolutely no smudging after the end of the day which is pretty good.It does have a slightly drier formula than the others mentioned above which probably decreases the likelihood of it smudging. 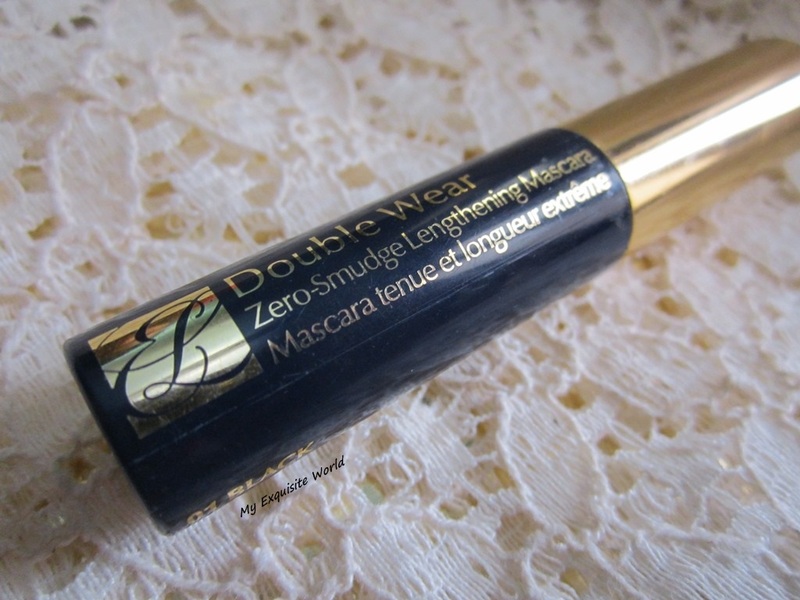 In terms of lengthening, this mascara is decent in that it does lengthen my lashes. 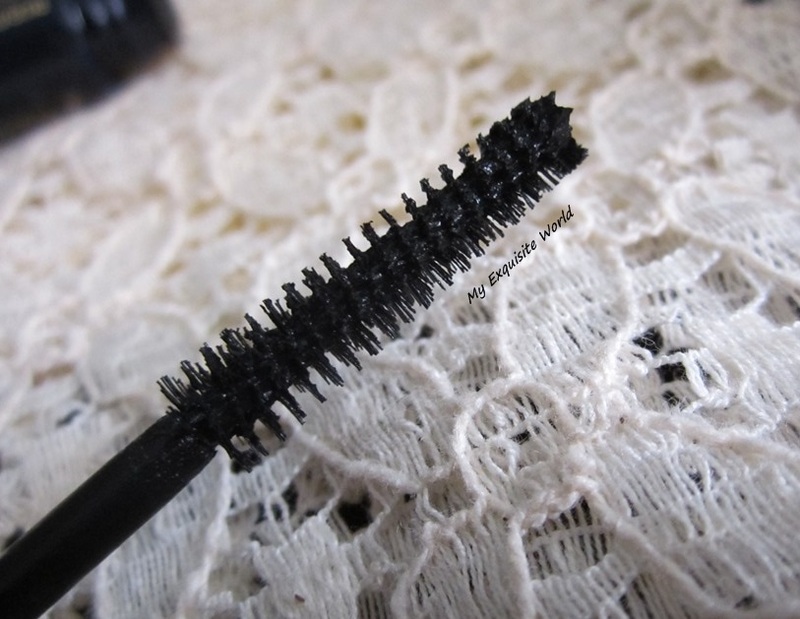 What I really like about this mascara is its ability to define lashes. The brush properly coats each lash with an even layer and the brush isn’t very large either so it’s quite easy to grab the lashes at the inner and outer corners. The formula is light weight and doesn’t feel heavy.It brings out all the lashes properly defining bigger ad smaller ones and those in the inner corners that are hard to coat.The wand is really easy to use.However,it comes off easily with a mild oil based remover. RECOMMENDATION:It is a great mascara for those who are look for a lengthening formula.However,this is zero voluminising so if you are looking to sport thick voluminous lashes,then I suggest trying other options! !